These markings help the technician collect the correct amount of water as required by the testing procedure (fill lines are approximate). The write-on strip will accept virtually any writing instrument and minimizes ink smearing on the surface. A box of 100 bags takes up considerably less space than a box of 100 sample bottles. The 4-oz. 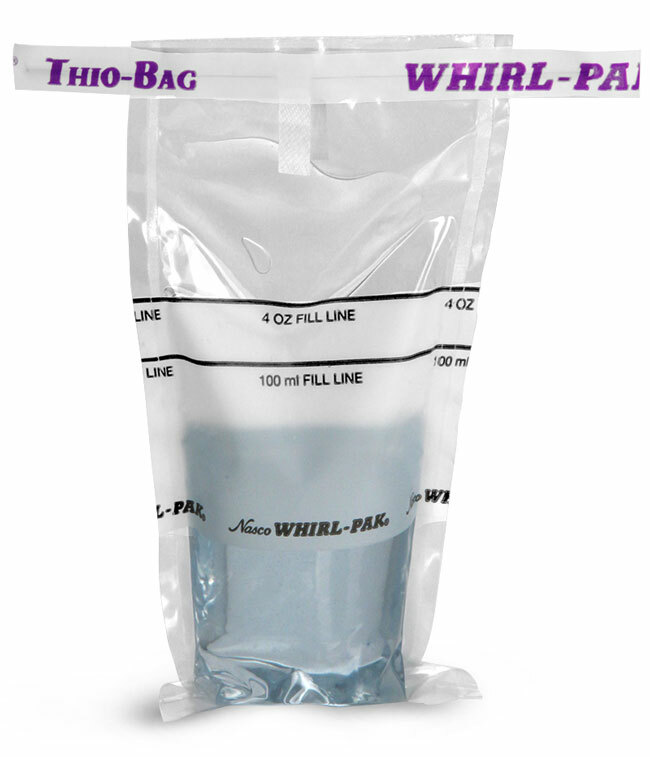 (100 ml) size bags are packaged 25 in a sealed bag, four bags per box, for easy use. Capacity is measured in fluid ounces when the bag is closed and tab is folded over three times. 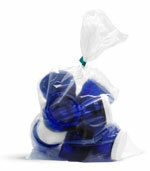 Volume and dimensions are approximate; bags should not be used at temperatures above 180° F (82° C). Bags can be frozen to any temperature, even liquid nitrogen temperatures down to -346° F (-210° C) - careful handling required after freezing. All bags are sterilized after manufacturing.